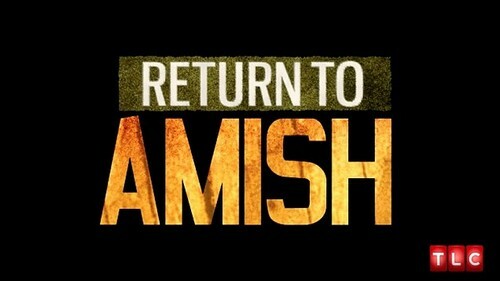 Tonight on TLC Return to Amish, the Breaking Amish spin-off airs with a new episode. In tonight’s episode “Second Chances,” Andrew and Chapel prepare for their big day, but nothing runs smoothly! Rebecca gives some important advice, while Abe worries about the wedding activities. On the last episode Jeremiah made an impactful decision regarding his life. Meanwhile, Andrew let loose in an interesting way at his bachelor party while Chapel went wedding dress shopping. And Mary and Chester unleashed unexpected news. Did you watch last week’s episode? If you missed it we have a full and detailed recap, right here for you. On tonight’s episode Andrew and Chapel prepare for their big day, but nothing runs smoothly! Rebecca gives some important advice, while Abe worries about the wedding activities. Meanwhile, Jeremiah makes a final commitment and will Chester and Mary show up for the big day? Mary’s decision to not attend Andrew’s wedding is hard for her son to accept. He merely wants his family there to support him and he’s tired of “the Amish” aspect getting in the way. In order for Mary and Chester to be welcomed back into the church they can’t go breaking anymore of the rules. And attending an English wedding will be doing just that. So some of the people there upon hearing the news asked Mary why she would go back to a church that would tell her to ignore her own son. And Mary’s answer was that she didn’t want to lose her husband. Chester likes being Amish. He’s not going to leave the Amish and if Mary wanted to keep her marriage to him then she couldn’t leave the church either. But, just because, she’s not attending doesn’t mean Mary won’t support her son in another way. After all she’s still making a lot of the food for the event. Andy does have people there for him. It may not feel like that with his parents skipping the wedding but that’s the truth. His brother had actually caused a fuss when he and Rebecca were helping set up the wedding reception and he noticed that alcohol was going to be served. Andy has had some problems with alcohol and as part of his probation he was warned to stay away from it. So when Abe saw that alcohol was going to be served at the reception – he tried to talk Chapel out of it. However she took it as criticism. As if she would knowingly let Andy get into trouble when that couldn’t be farther from the truth. The reception is going to have a drinking area yet it’s going to be separated from the rest of the reception where she and Andy will be. And if that’s not enough to satisfy Abe then oh well. Maybe he should try having faith in his brother for once. Mary later changed her mind about the wedding. She felt so bad after missing Abe and Rebecca’s wedding that she knew she didn’t want to miss another of her son’s weddings. So she’s going to the wedding and she invited her husband to join her if he likes but he didn’t want to. Chester won’t risk upsetting the Bishop a second time and he’s angry at Mary for defying the rules. Mary was hurt that Chester didn’t want to go to the wedding at yet she didn’t let that stop her. She knew her son needed her and she’s going to abandon her children because of their religion or culture. In the meantime, Andy’s wedding jitters got the best of him and he was swearing at any and every one. He was swearing at Matt for pulling a joke on him with his wedding tuxedo and he was swearing at fellow drivers when they refused to go over the limit thereby allowing him to pick up a dress shirt an hour before the ceremony. So he’s on edge. Thankfully though no one is letting his behavior get to them. Everyone and I literally mean everyone showed up for the wedding. Chester had a change of heart as well and he came in his Amish best. Another person to come in their Amish best though was Jeremiah. Kate isn’t sure returning to the church is best for him but he seems to be currently happy with his choices so there’s that. The wedding and the reception went ahead without any problems cropping up. And later Chapel proved to be good for Andy. He’s stayed out of trouble since their wedding. As for the rest of the “crew”, Sabrina was eventually able to reconnect with her family. Her daughter proved to be a great ice breaker. Jeremiah continues to pursue a life in the Amish community and so far it’s kept him out of trouble. And the rest of them are just living their lives. Abe and Rebecca are raising their two daughters and Kate lives for the day she can reveal her own fashion line. Then there’s Katie-Ann. She hasn’t made her mind yet on whether or not she wants to be Amish or English but she hasn’t stopped dating the Amish boy she met at the hut party. And her parents hope to return to the Amish church one day though they haven’t given up on their other children nor do they plan to.